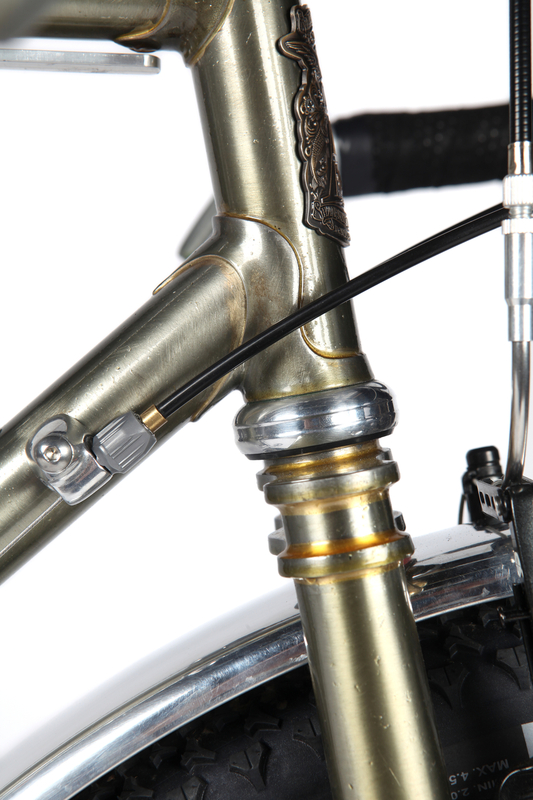 It’s not too often that I get excited about a new bike component, and usually when I do my excitement is pretty mild. Like, I was glad to see Brooks come out with a non-leather saddle, the Cambium, which has turned out to be comfortable, nice to look at, and is weather proof. I got excited when Paul Components released the Klamper disc brake caliper, and it has proven to be far and away the best mechanical disc brake on the market. And a few years back when I discovering that Honjo makes the H-95 fender, a super wide and flat fender for big tire bikes, I just had to use them on certain projects. All these things and a few others were good innovations, improved iterations on things that already exist. But there are only a few times in my career as a cyclist and bike builder that I can remember when something new really changed things, in regards to components. I think the Pinion gearbox may be one of those things. Most of the bikes I build are touring and commuting bikes, so when I think of component innovation I think mostly about how could something work better and last longer. How can a component make a rider’s life easier and better when she’s riding every day, for hundreds and thousands of miles? When I first heard about the Pinion gearbox it immediately grabbed my attention. And the more I researched into it, the more interested I became. 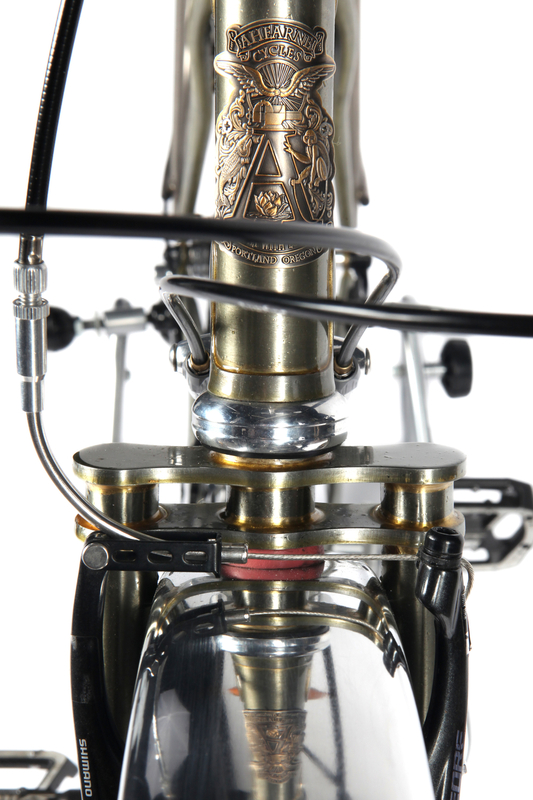 It’s a gearbox that mounts in the bottom bracket area of a bicycle. This may be an inexact analogy, but think of an automobile transmission. The gears are contained inside a housing or “box,” and so should require very little maintenance. On their website Pinion recommends draining and refilling the gearbox with fresh oil annually, or every 10,000 km (about 6200 mi). Couple this with the Gates Carbon Drive, the belt of which will last up to 20 or even 30,000 miles, and you've now got a bike that should run smooth and trouble-free, at least as far as the drive train is concerned, for a very long time. The 18 speed gearbox weighs just over 5 pounds (about 2.25 kilos), which is a bit heavier than a Rohloff internally geared hub, its closest relative in bicycle drive trains. 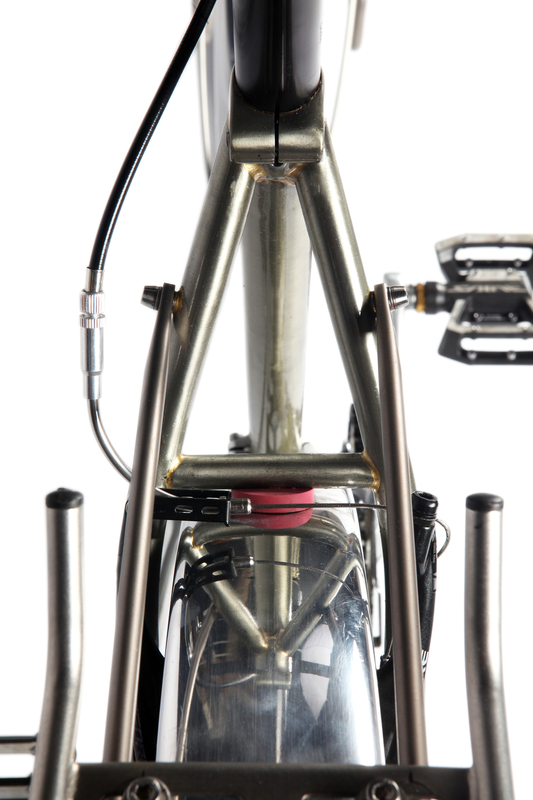 But the great thing about the Pinion is that the gearbox mounts under the rider, basically in the center of the bike. Because the load is centered there shouldn’t be the added sensation of weight as when it’s carried further out. This is the same reason frame bags work well to carry gear, because it’s locked in the front triangle of the bike, and is under the rider, so the weight can’t “swing” while a rider’s momentum shifts side to side with each pedal stroke. Another great thing about the Pinion gearbox is the exceptionally wide gear range. Pinion offers three versions: 8, 12, and 18 speeds. The 18 speed has a 636% range from high to low. 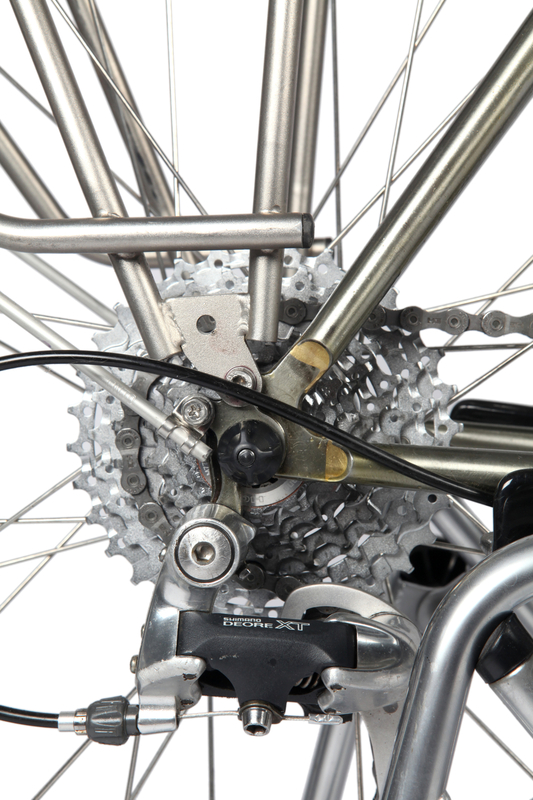 Compare this to a typical ten speed with a triple front, which has about a 575% range. It's a huge spread of gearing, and the increments between gears are relatively small. But for the moment these are just numbers. It's the ride that will really tell what the gearbox is all about. I chose the 18 speed for this bike because I wanted to get a sense of how wide the range actually is. Ok, then, this is the Pinion. So then, what is this bike? And it’s the latest variation on a bike we fondly call the “Outback.” The Outback is kind of generic name for an off-road touring bike. You can call it a bike camping bike, or bike packing bike, or anything else you want. We call it an Outback Bike. It’s meant to run fat tires (in this case 650b or 27.5" X 2.8" tires) and carry gear so you can head off and away from paved roads onto gravel and single track, ATV trails, old rail beds, beaches, whatever — anywhere at all that cars can’t or usually won’t go. And for those of you not familiar with what Page Street Cycles is all about, please check out the new website. In a nutshell, Page Street is an excuse for Christopher of Igleheart Custom Frames & Forks (nice new website, Christopher!) 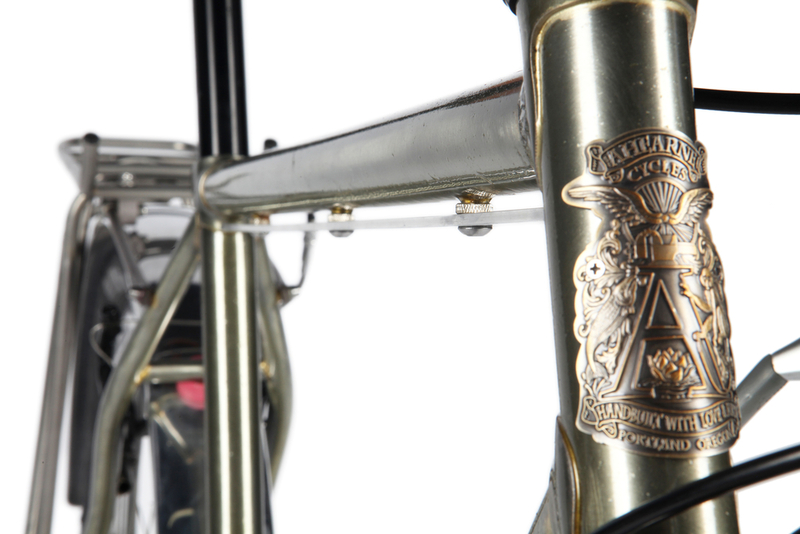 and myself — Joseph — of Ahearne Cycles, to collaborate and make awesome bikes. Christopher and I share a shop, we share a lot of tools, we bounce ideas off each other, we make each other laugh, we feed each other’s cats when one of us leaves town, sometimes we share lunch. We have similar ideas and values when it comes to bikes and cycling, so we thought, why not work together sometimes? We both love salmon and we both build bikes, and whatever we build together is going to be a fun project. I don’t know exactly how — you can ask your local Hindu religious figure — but that fun gets translated into each bike’s ride quality. It’s like they’re good vibe bikes. Maybe that should be our tag line. Basically, Page Street Cycles is our team name. It’s what we call bikes that we both have a hand in making. Christopher and I will each continue making bikes under our own names, but now we’ve got this other thing, too. In the end, it’s all just a party. Ok so, this latest bike is an example of what we can do. Here below is a summary of the features included. I did my homework on this one, and came up with much of the design. Igleheart and I built it together. Paragon Machine Works "Toggle Drop" is the bomb! Bedsides Christopher, I’ve got a lot of people to thank for helping make such a rad machine, including Rolf Prima for the amazing Alsea wheelset, and Paragon MachineWorks for the Toggle Drops that make this whole bike work just right; Paul Components and the folks at Pinion who put up with all my questions. Marc at Gates Carbon Drive for technical support, supplying belt wheels and belt, and for caring for the bike in Las Vegas. Also, Ogando at Velogical and Jens who made the battery buffer (hidden in the steerer) and USB stem cap, the so-called Forumslader; Dave at Black Star Bags for the fabulous custom seat bag (we'll be offering these bags in the future). I also want to thank Dan at Co Motion Cycles for the shifter and the good advice on shift boss placement. And last but not least, I have to thank Kai Yao for all the awesome photos. My hope was to design something that could go everywhere and do everything. Nothing less. Whether we succeeded in building it or not remains to be seen. So far, it’s looking pretty good. How is this bike going to feel? You know what I’m saying? I mean, there’s something beyond the simple functioning of a bike that makes it pleasurable to ride. I like the sound of a chain and cog interface when everything is running smooth. I like the crisp feeling of indexed shifting on a traditional external drive train. I know derailleur systems really well, and have ridden a whole lot of miles on various bikes and configurations of derailleur/chain/cogs, and have done so with great success. I know that I can trust a good-ol’ 9 speed chain-and-derailleur system, and I know how to work on it. I also understand its limitations: Chains will rust, especially around salt water; If your derailleur gets hit in a crash or by a stick or whatever it can kill it; Cables stretch, chains too; cogs wear out, and so on. For the most part, though, traditional drive trains are pretty solid and durable. There are a lot of unknowns here. So how’s it going to feel with a carbon belt and no chain, no derailleur, everything contained, no need to think much at all about drive train maintenance? I like the idea of it, for sure. Especially for long trips, and remote riding. But am I going to like the way it feels? This is going to take some time to learn, and is an assessment I’ll write about in a future post. Feelings aside, though, if you think about the bike as a tool meant to perform a certain kind of work as efficiently and effectively as possible, then all of this sounds pretty good. I do have to admit, my hopes are high. I'll be out of the shop from Friday 29 May through 7 June on a bike tour. We're headed down to Klamath Falls to ride back up through central Oregon on the Outback route. It'll be interesting seeing how it's different this year from last. I'll post images during and after the ride. We're headed out a week after the official ride, so hopefully all the people who have already gone left us some water to drink, and didn't clean out the little stores of food.